There are 1461 posts in this topic. You are on page 21 of 30. It's nothing special.... it's mostly the way I bought it a couple years ago. 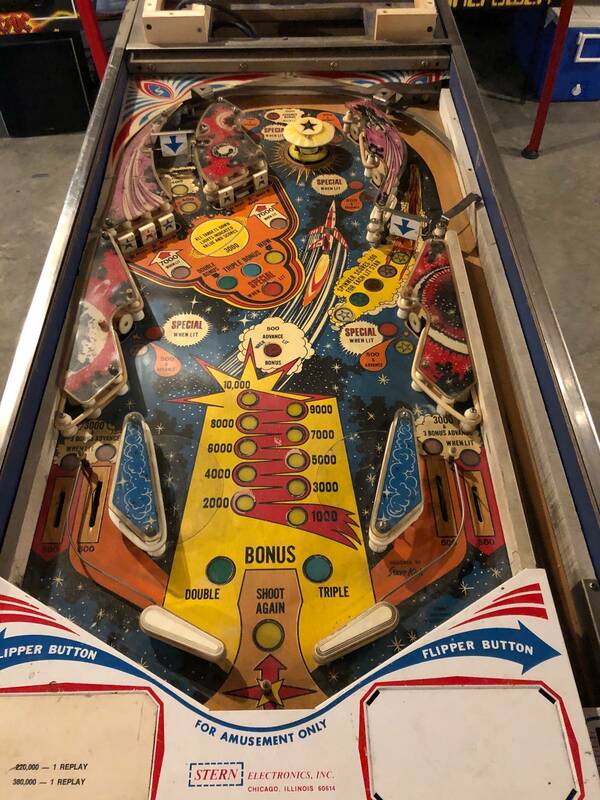 All I've done to it was rebuild flippers, put Comet Retro LEDs in PF, SMD's in the backbox, &amp; a new beehive &amp; shooter rod, along with some flipper switches &amp; buttons. It had an Alltek MPU when I bought it &amp; new PF glass. Cab is original, PF is original. Oh &amp; I put a BG Resto Backglass in it. Before end of Winter I plan on stripping the PF, touching it up &amp; fixing some inserts &amp; clearing. 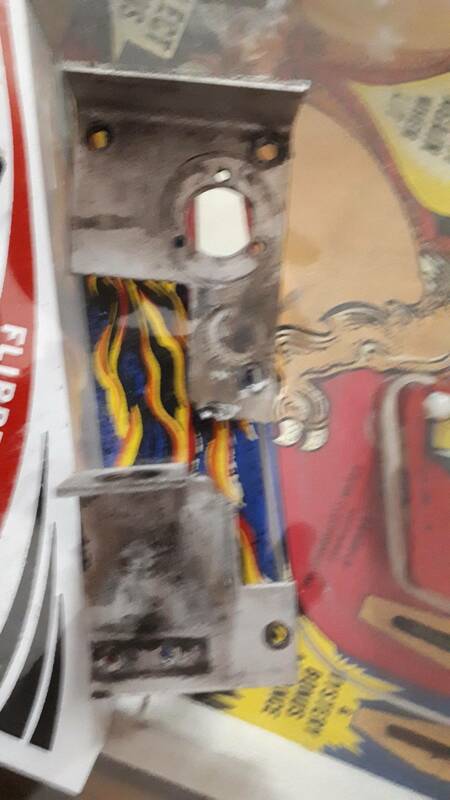 Some of the inserts are starting to get pretty bad. I will switch the posts out to red as I hate white posts, &amp; get rid of the black rubbers in favor of whites, just little personal preferences that I like on games. The plastics are all original &amp; in nice condition including the often broke center clamshell. It's a fun game.... good spinners, &amp; the chimes are cool for an Early SS. I really like the art... underwater themes are always some of my favorites. Stingray reminds me of the 1977 Nick Nolte/Jacqueline Bisset movie "the Deep" which is one of my all time favorite movies. Hey there, thanks for the rundown and the pics. Pretty fair shape considering the title. She'll be even better after your upgrades! 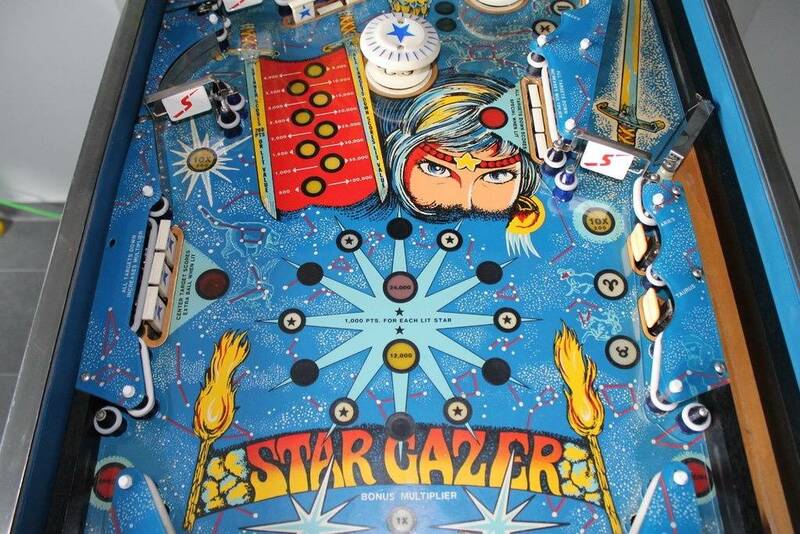 Has anybody installed one of the new playfield protectors on their stars or meteor? Do they cause stucky balls on the drops? 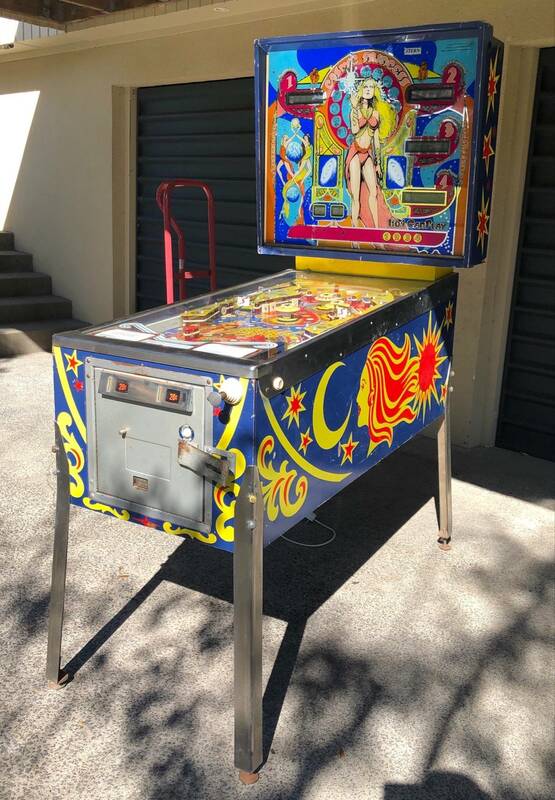 There's a Cheetah for sale in Cleveland on FB Marketplace - Playfield is a little planked, but $2,500. Throwing it here cause I know a few people were talking about trying to find one. Link? I cannot find it. Tremendous thanks to both you and pinfixer! Holy crap I can't find it either. I saw it across three groups this morning when I was getting ready for work - it must have been snatched up that quick. No worries. I doubt I’ll be quick enough if something pops up this time of year. Oh well. I’ll keep looking. I am not aware of play field protectors being produced for either Stars or Meteor. 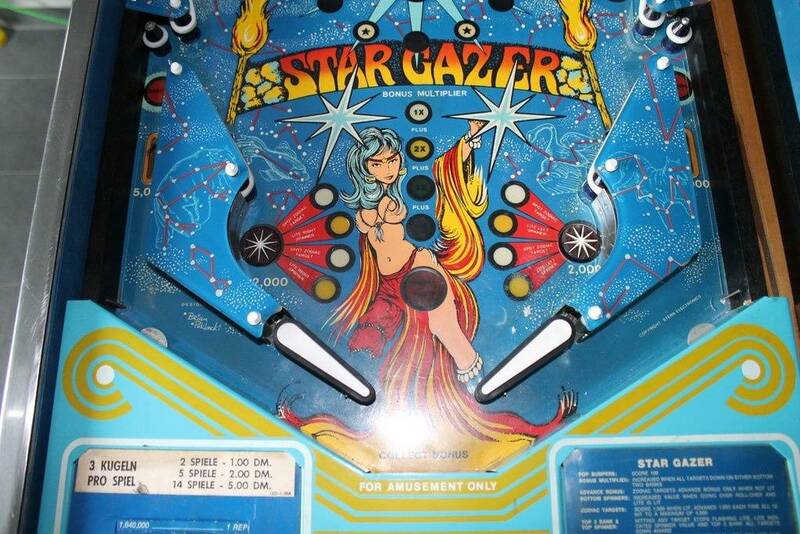 However, there is one being produced for Star Gazer. There were 869 Star Gazers produced while Stern produced 5127 Meteors. It think it would be more profitable to produce for the larger number but it is what it is.. I have made protectors for my following pins: Big Game, Seawitch, Catacomb, and Nine Ball. Nine Ball is the only one I have had an issue with a ball hanging up at the drop targets. With the first three pins, the way the drop targets are positioned obliquely on the play field allows for no way for the ball to get trapped. It will be the same with Stars; There is no way for the ball to be trapped. The ball will hit those drops and just fall out. Nine Ball is a different story. 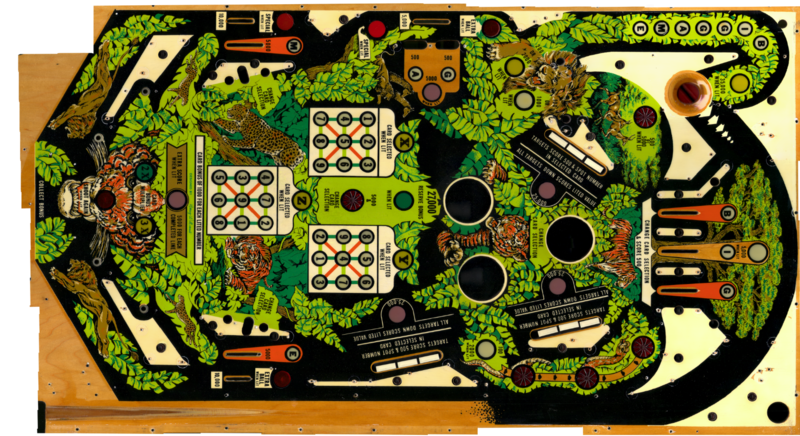 The eight drop targets are placed "vertically" along the left side of the play field. Drop Target #8 sits directly above a play field post. While the other 7 drop targets are backed by a rubber which will bounce the ball away, #8 is a pass-thru to the other side and as the ball attempts to make that pass in can, and does, get trapped in a channel created because the top of the drop target sits lower than the added height of the protector. 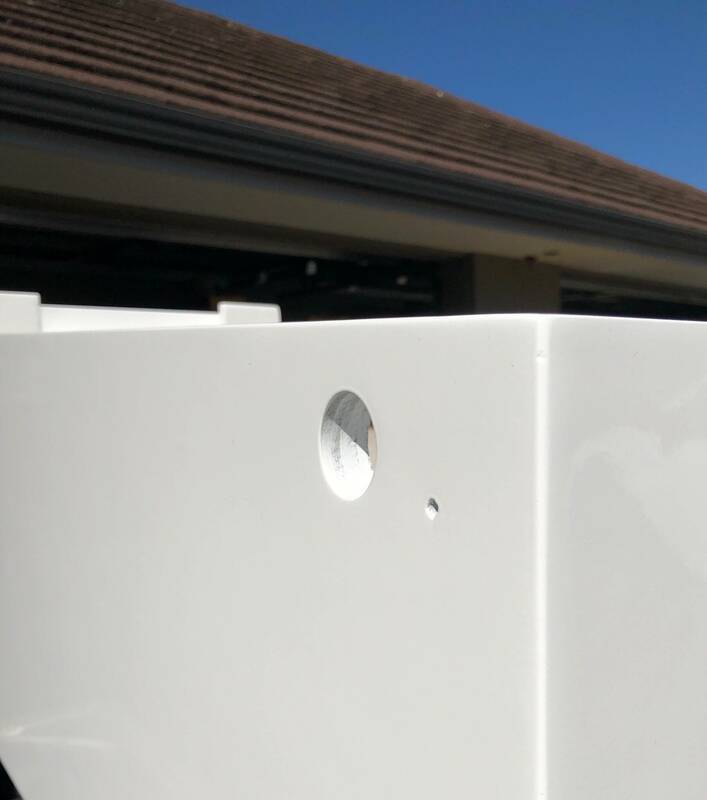 My solution for that was to bond a piece of clear plastic to the top of the drop target which makes the top of the drop target level with the play field protector surrounding it. Problem solved: No more stuck balls. I used super glue but I suppose hot glue would would work just as well. I'm looking at my Meteor play field and the only place I can see where a ball would get stuck is on the right hand side at drop target assembly #3. That lower drop target sits directly above a play field post and could possibly get stuck there. My solution would be the same: Bond a small piece of plastic to the top of the offending target. 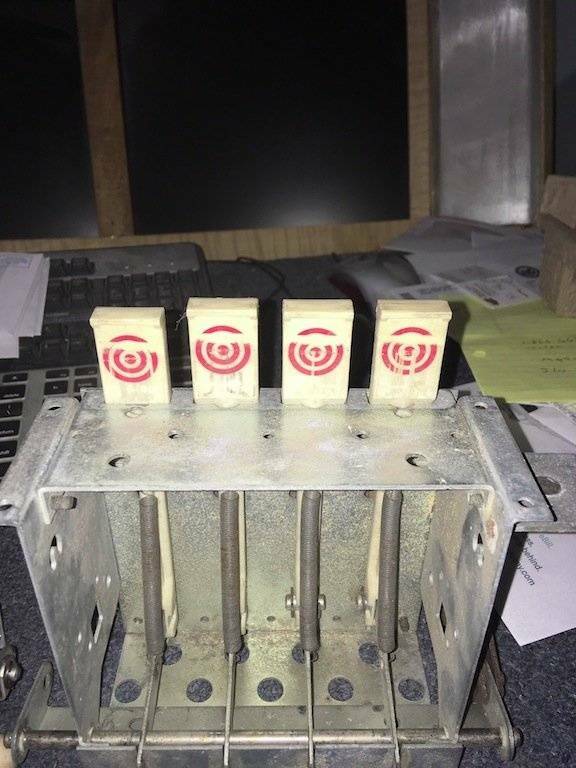 Another solution would be to shim all the targets upward until they match the height of the protector. There is a chance that Big Game will be my third title. Waiting for the art, & I can get a local wall hanger back for cnc. Might need some help fixing the art. I will have a print for TPF to see how it looks. The donor of scan can jump in if he wants. There is a chance that Big Game will be my third title. Waiting for the art, &amp; I can get a local wall hanger back for cnc. Might need some help fixing the art. I will have a print for TPF to see how it looks. The donor of scan can jump in if he wants. I’ll be ready to buy when they are ready to ship. Some of you are aware I started out with a fairly nice Big Game play field. 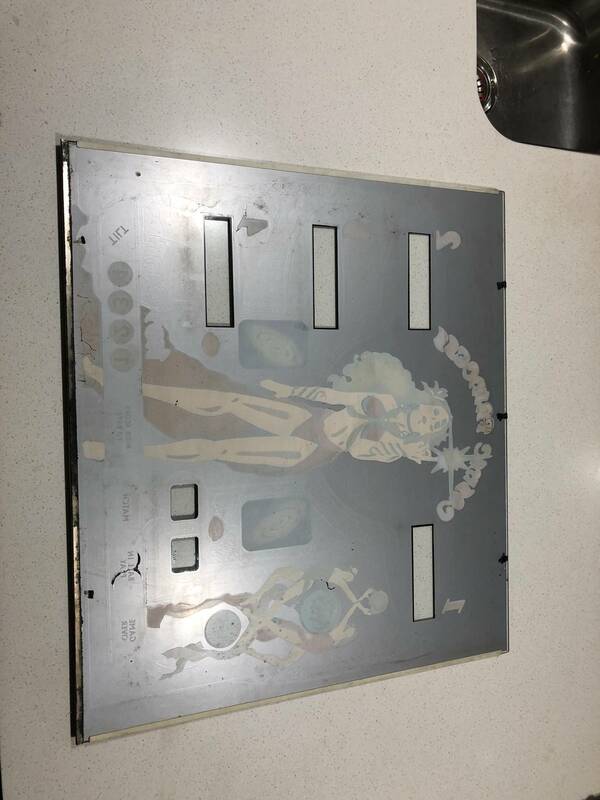 After I got it back from the restore shop, I bought one of those clear bottom scanners. I scanned it in 20 panels. 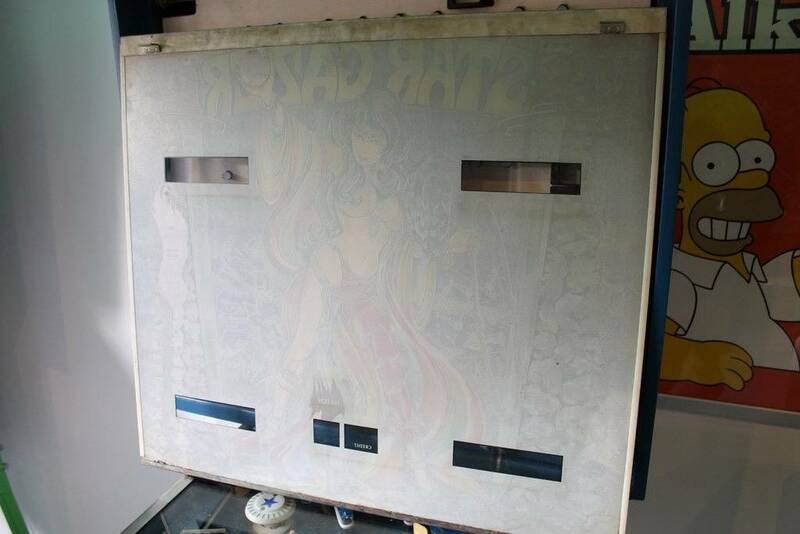 Another pinsider offered to stitch the panels together and gave me back an 86 megabyte .tif file. It is not prefect. There area couple of flaws. I am hoping it is something that John will be able to use. I will be sending a CD to John with the file this coming week. Awesome!!! Such a good game. Can’t wait. 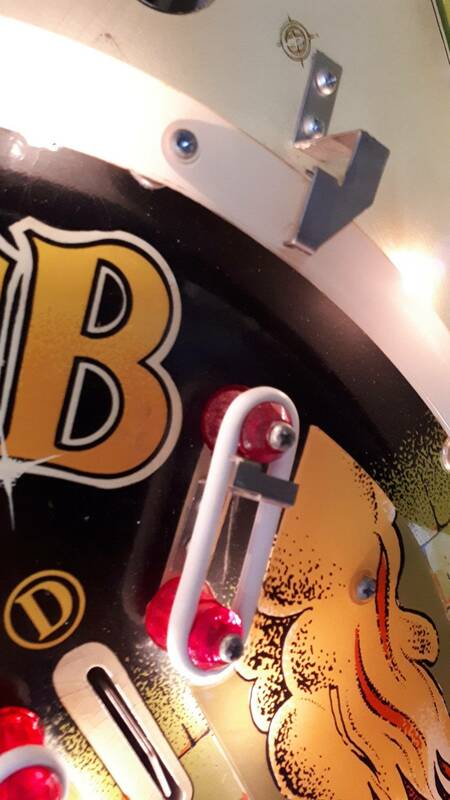 I installed a protector on my Stars from Beehive Pinball. 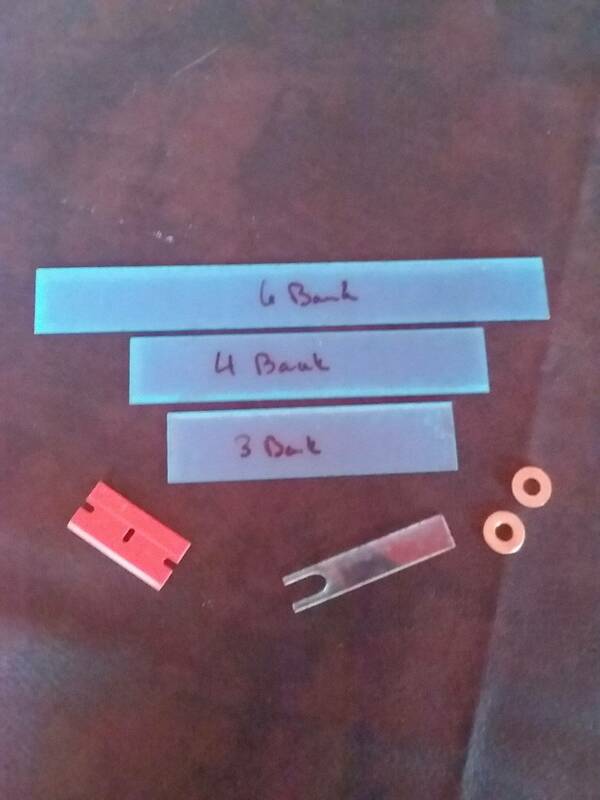 He included spacers to put under the drop targets to make them level with the protector. Plays great, never had any problems with it on. Now I can procrastinate fixing some of the cupped inserts. Any one have a spare set of Dragon First plastics by chance? Long shot, I know. Thanks. Restored SG for sale at around $2700! Omg that's an amazing price! Hope you got it! I'm looking for a good backglass for my Stars. If anyone has one shoot me a PM. Its not that bad... As long as you have your papers...Do you have your papers? Like @8bitrobo said part of the install kit comes with precut shims to level the drop targets to prevent balls from getting hung up. The install kit also has a flipper gapping tool, flipper washers, nitrile gloves and a plastic razor to help remove the protective film. Yay! Snagged this up today. Anyone know if we can get tombstones drop targets anywhere? I need one with a star on it, but I’ll settle for anything if it’s a tombstone. Will the Bally ones that PBR have work in Stars? How does a drop target shim / spacer work on Stars? The drop target switches are on the bottom, not the back. 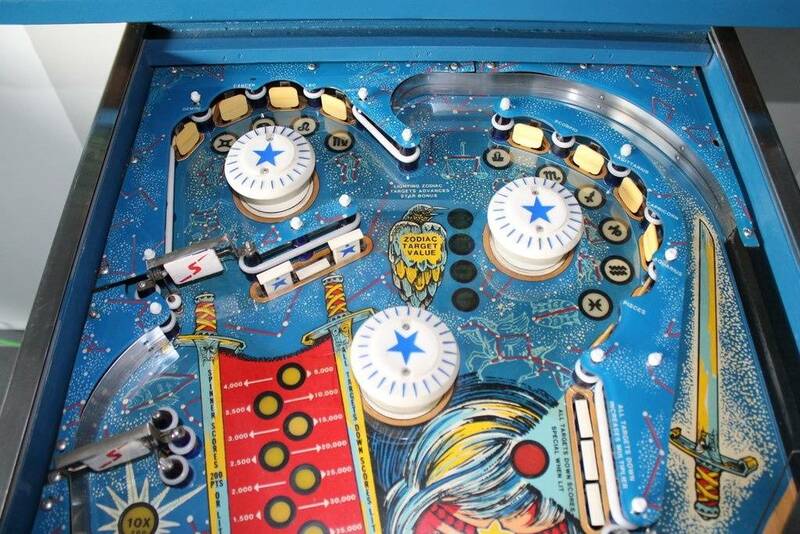 No, Bally drops will not work in Stern games. SY @ PBR suggests buying the standard Stern drops that he has, and cutting off the tops. Never tried it, as I keep used Chiclets for all of my Stern games. Thanks. I guess I’ll have to go that route. Restore the five good originals I have then crop a repro. Oh awesome! I've had a beautiful NOS Meteor PF waiting for installation and I've been putting it off until I could find a clearcoater that I trust. This lifts a huge amount of anxiety off of me. I'm going to get in touch with you. Oh yes. 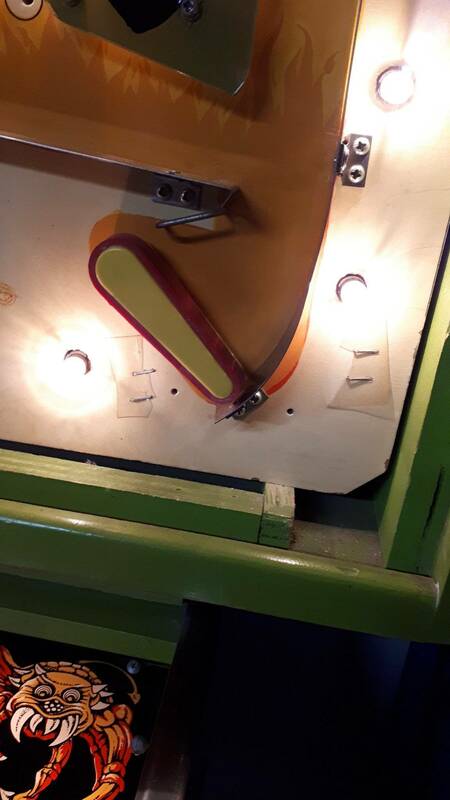 A Bally drop target WILL work in a Stern drop target assembly. You can even mix and match. I have been thinking on this for a few weeks. These posts galvanized me into action. I'm eating dinner right now and can post pics once I am done eating. 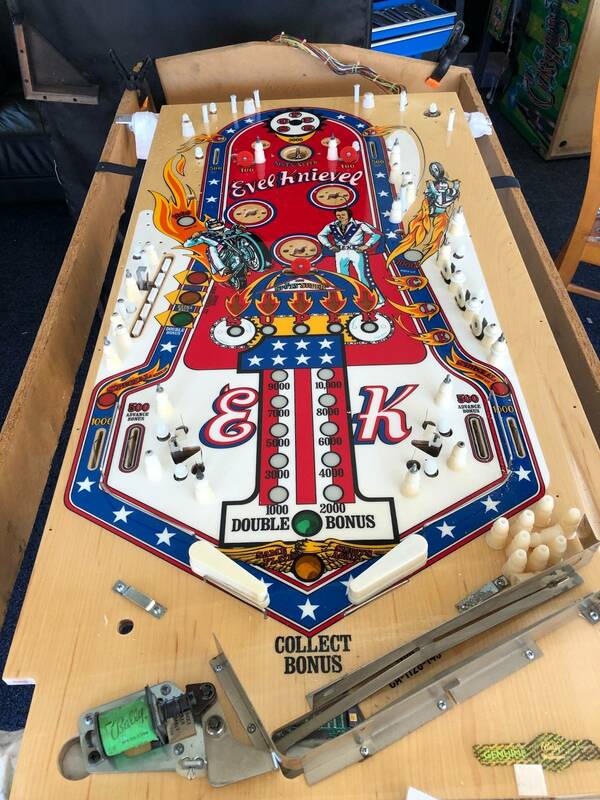 Keep in mind that Stern copied more than Bally's boards from Bally. I think I found some originals so I’m good! This thing is cleaning up great too. Can’t wait to play! Probably be done in a week or so after getting some parts in. Look at the bracket that holds the drop targets in position. On the Stern unit the bracket is positioned so the target land is down low and hidden from view. 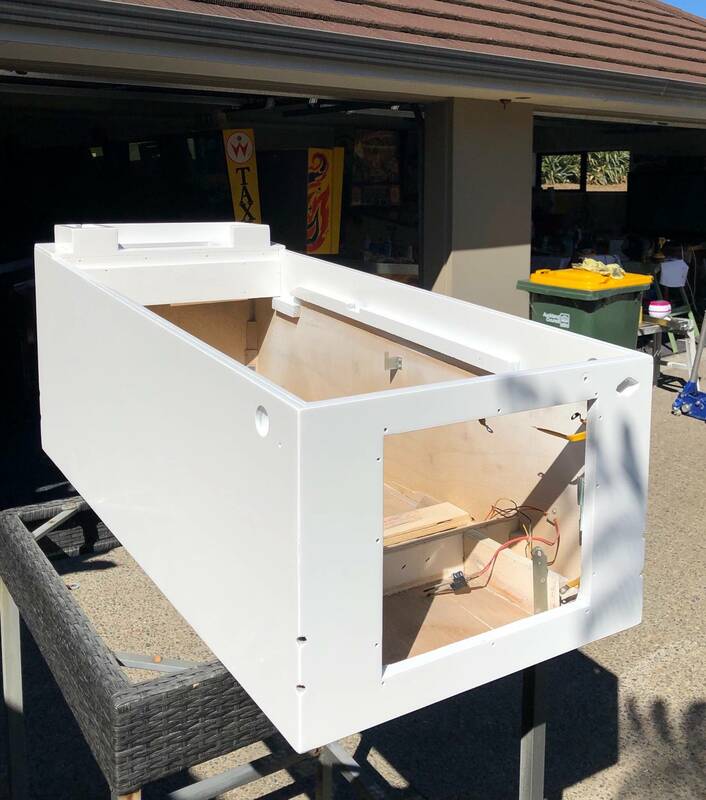 On the Bally assembly, the bracket is positioned so the land is all the way to the top. 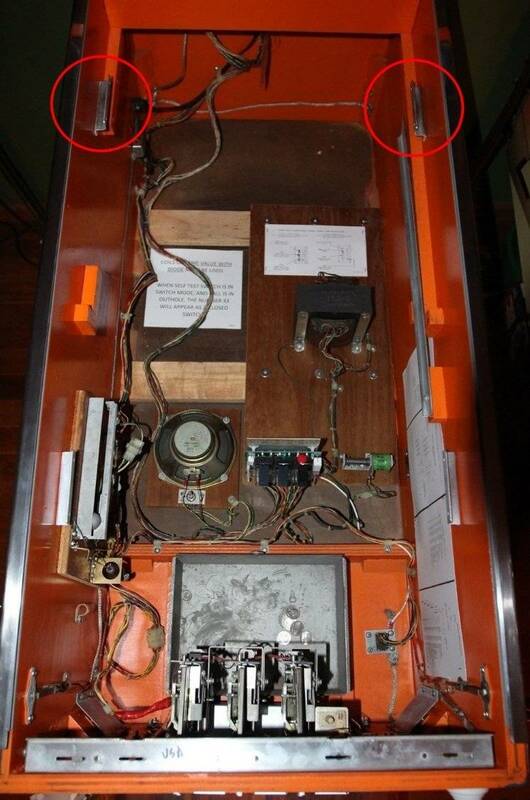 If you want to use Bally target in a Stern assembly all you have to do is turn that bracket over. 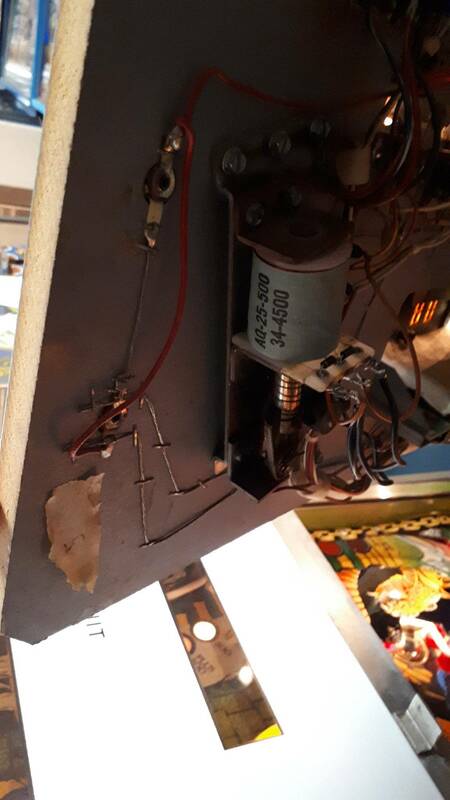 I could fix this so I could keep the one Bally target and the two Stern targets by filing off the extension that Stern added onto the landing area. The only difference between the two assemblies is how that bracket locates. You can mix Bally and Stern targets in the the Stern assembly and you can also mix them up in the Bally assembly by making a minor mod to the Stern targets. EDIT: This pic got deleted. 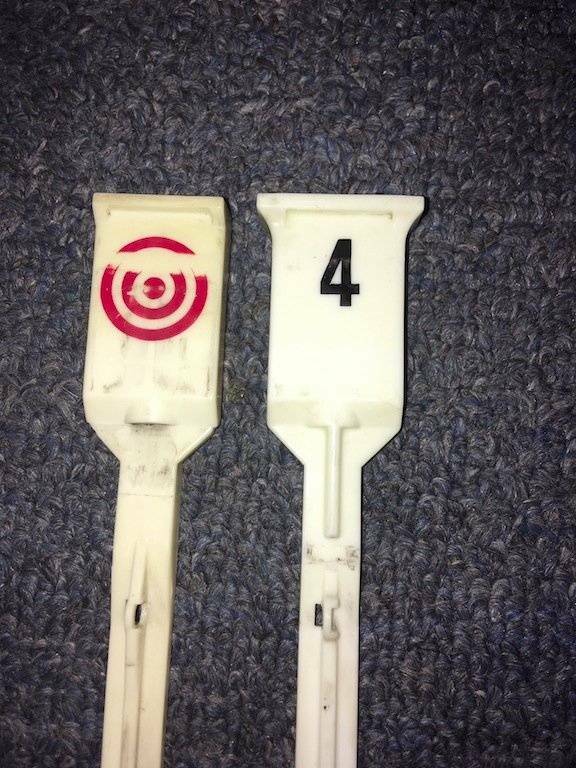 It shows the difference between the targets. Pretty cool find! However, I would bet that Stern made theirs that way for one important reason (outside of patent infringement) - bricking! Bally drop targets brick a lot more than Sterns. Did you have a bad experience? I didn't run into any issues of note when shipping out of Germany in the past. Yes please! Thanks dude. I can get them from you at league or next tournament. 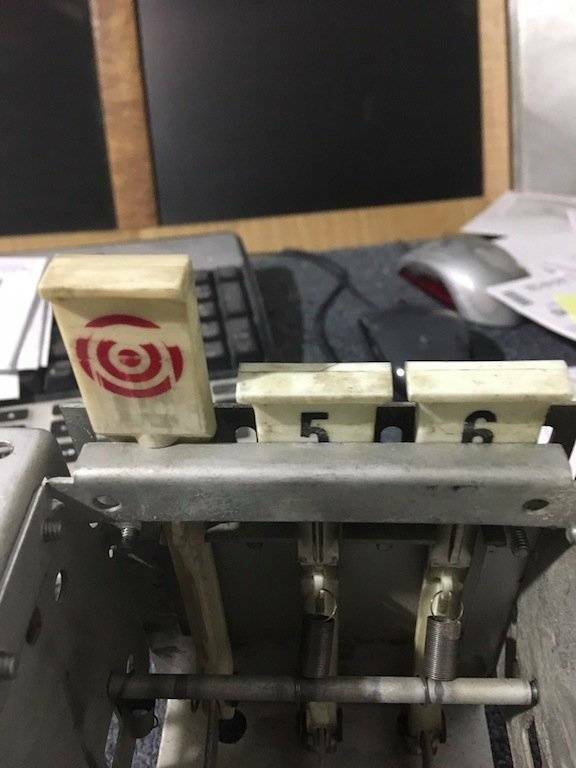 One other option if anybody really needs to get a Bally target to work would be to take a trashed target and cut a small strip of plastic and add the Stern style extension to the Bally target. For anybody who has put model car/plane kits together this would be easy to do. 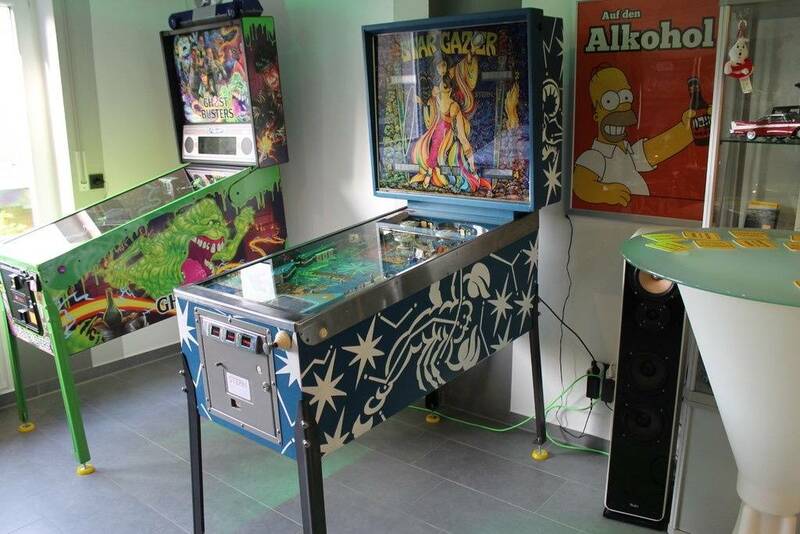 Or perhaps you could juice up your Bally's action by putting some Stern targets in. 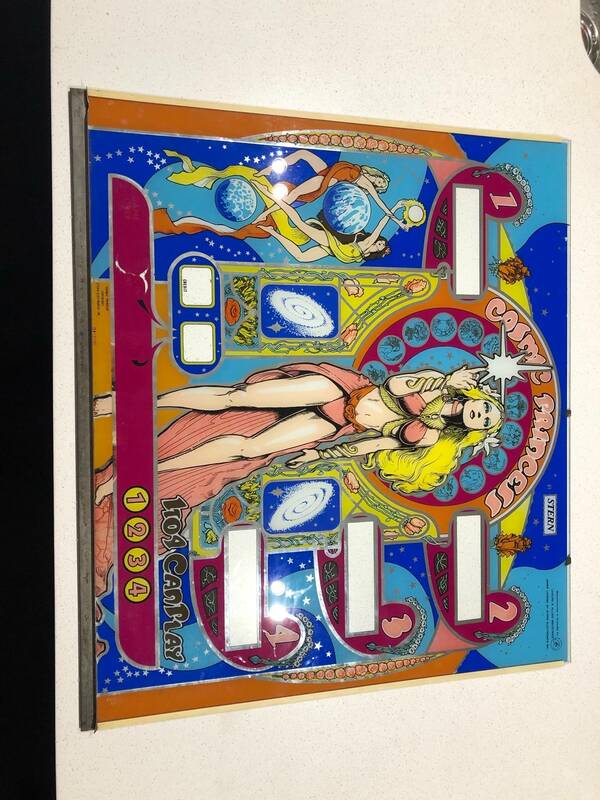 Today I saw CPR has started selling the backglass for Meteor. I think that was a side effect that only the late, great Steve Kirk knew about. Closer to $400. Just ordered one. I've got an 8/10 that I'd sell that just needs minor touch-up in solid coloured areas but I'm terrified of shipping glass. Just ship it in the box the new one came in. Issue with a Hot Hand. The drop targets are supposed to score 500 points when hit, and 2000 points when the 4X lamp is lit. On my machine, sometimes that happens. But most of the time it starts scoring points like mad, sometimes it stops when you drain the ball, but other times I have to shut the thing off to stop the scoring. I t has a brand new NVRAM Weebly MPU that I have triple-checked for the correct game settings. The solder joints for the diodes and caps on each drop target are tight. On the Switch Matrix, all five of the DT switches are on Strobe 3 with the other 3 switches unused. 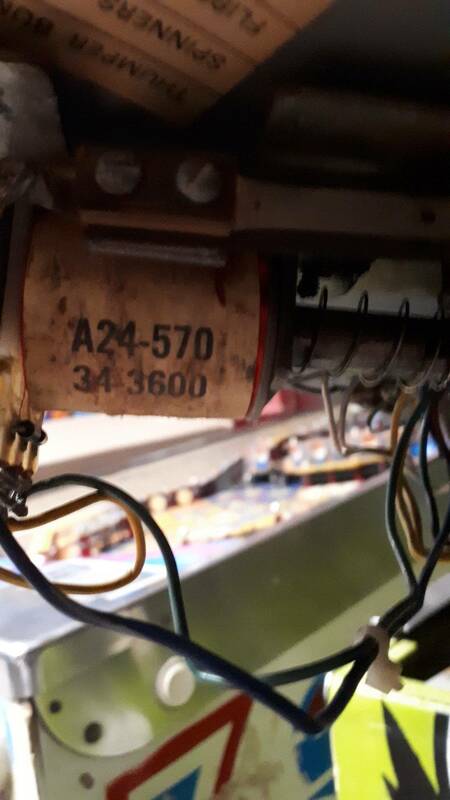 Before I go ripping off a bunch of perfectly good caps and diodes, is there something else to look for? 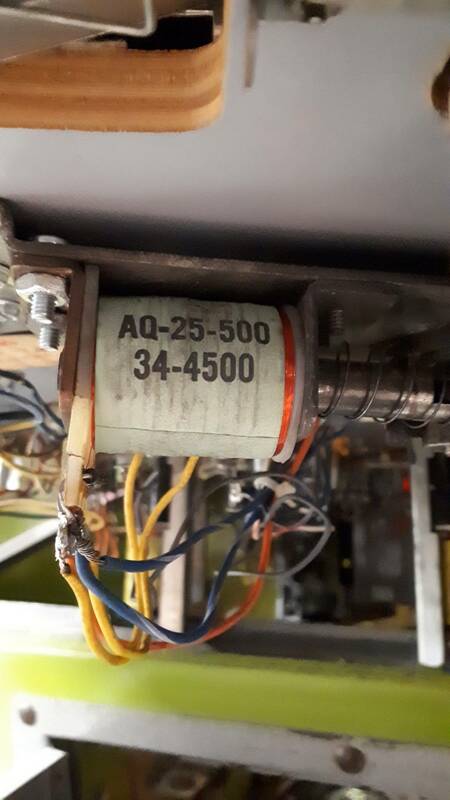 Make sure you don't have a switch that has come out of adjustment. 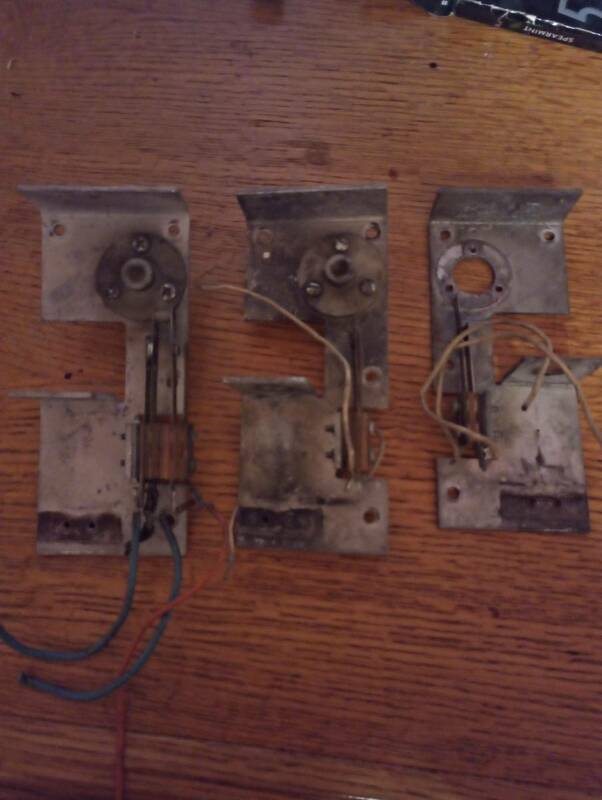 Many switches have their own type of sound when activated. You might try this: Manually activate each switch and see if you can ID the problem switch by the sound it makes. And if it is rolling up points maybe it will roll 500 points, barely stop and then roll another 500. And another. 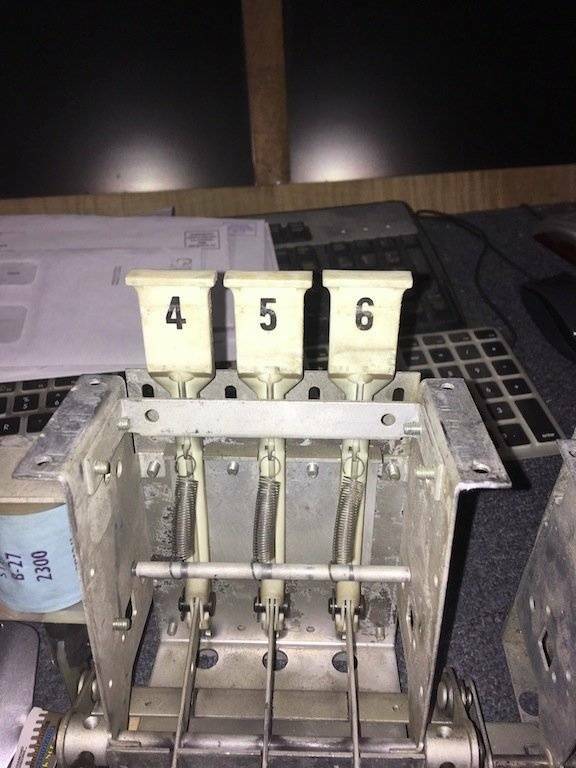 Then look at the switches that score 500 points. And diodes and caps can go bad while the solder joints still look good. To help with isolating switches, you might try blocking 3 or 4 switches with some business card paper. Block 3 or 4 and if the points are still rolling you need to isolate some different switches.